You've given it a lot of thought - you want to give someone a gift that shows how much you care - something that you can put your heart, soul, and creativity into... but what should you make? These gift ideas are things medium to advanced skill sewing enthusiasts can take on to create a great, thoughtful gift. Whether you like to pick up patterns or just make your own freehand fashion designs, these are some fun and slightly challenging sewing project ideas you can try making. Make purses: You can tear apart an old purse to use as a pattern or pick up a purse pattern at the fabric store or from an online seller. Shopping tote bags with zippers and pockets: Tote bags can be as easy or as challenging to make as you want them to be. A basic tote bag is very simple, but when you add things like pockets and other details, making them requires more skill. 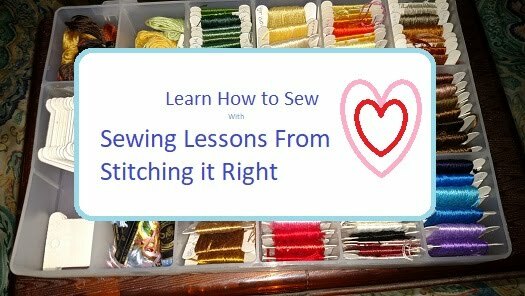 Garments of most any kind with extra details: when learning how to sew clothes, stick to basic, classic styles, and move into more challenging designs when you feel ready. Car seat covers: You probably won't find much in the way of patterns for car seat covers, so you'll have to make your own if this sewing gift idea appeals to you. Just make sure your covers have open spots for seat belts when you're done. Fitted furniture covers: Fitted furniture covers take a lot of fabric, especially if you're thinking - couch - but patterns are available for many cover styles to help you with specifics. Household crafts and decor pieces: Sewing craft ideas are easy to find with a quick visit to a site like Pinterest or a relaxed browse through a pattern book at your favorite fabric store. You can save money on your sewing patterns by waiting for sales or checking out some unusual places to buy patterns. Simplicity, and other brands of patterns, can be purchased from auction sites, such as eBay. Look for sellers with good ratings, and discounts on shipping - or free shipping - to get the best deal possible. It's also a good idea to look for uncut patterns. A second advantage of buying patterns on auction sites is that you have a wider selection and can even find beautiful out-of-print patterns. McCall's, and other brands of patterns, can be purchased from thrift stores, in some cases for as low as a dime. Look for uncut patterns, unless you know how to draft missing pieces or are willing to pull the pattern out and make sure everything is there. Many private website owners will list unneeded Vogue and other specialty patterns for sale. I even have a few listed here on Stitching it Right, plus many more I would like to list so someone could enjoy using them. While it's a pretty common place to buy patterns, sometimes sewing and craft stores list patterns at deeply discounted prices, such as the occasional 10 patterns for $10 sale at JoAnn's. With regular price on patterns resting at about $15 (often more) these $1 patterns give you a great way to save money on making the latest fashions. There are several types of seam finishes, and each is appropriate for different types of fabric and sewn item. Today's post is about one of the classic seam finishes, using pinking shears. Pinking shears look like ordinary sewing scissors when closed, except thicker. When the blades are opened, you can see teeth lining the cutting edges of the blades. This is a very easy way to finish a seam and prevent fraying. Sew a straight seam just as you would any other straight seam. Raise each side of the seam's raw edges up just high enough to cut off about 1/8-inch with the pinking shears. If needed, press the seam open again. That's it - pinking shears - a super easy and effective way to finish a seam so it won't fray. Some other types of seam finishes I plan to cover in upcoming posts include finishes done with a serging machine, a heavy duty sewing machine with straight or zigzag stitch, and even finishes you can do on an embroidery machine.